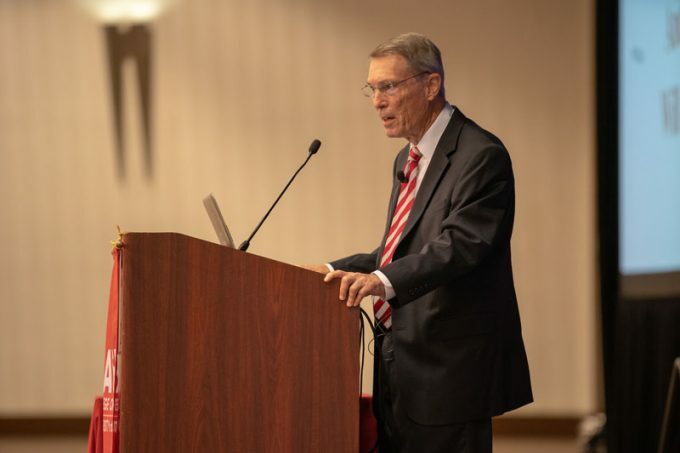 Bauer’s Institute for Regional Forecasting Director Bill Gilmer gave his economic forecast for Houston during the Fall 2018 Symposium. 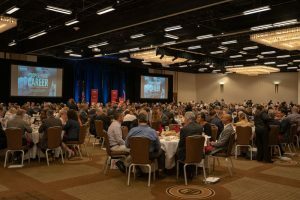 The effects of a two-year downturn that led to a loss of 74,000 oil-related jobs was tempered by a strong U.S. economy, Gilmer told business leaders. Momentum generated from the fracking boom and $50 billion in construction along the Houston Ship Channel also helped prop up the struggling local economy, he said. The current recovery is stronger than what he predicted at the last two symposiums, Gilmer said. However, Gilmer’s analysis takes into account flat housing sales, an office market in slow recovery and a wind-down in Ship Channel activity, all of which make for a cautiously optimistic outlook. While oil and the U.S. economy are primary drivers for Houston’s economic health, the current recovery phase relied on growth in smaller sectors such as retail, health care, hospitality and other industries that fed off the fracking boom as oil prices began dropping in 2012. Those sectors added more than 35,600 jobs since 2016 but have since slowed, he said. For the first time in a long time, Gilmer said, Houston’s housing market is mostly in sync with the U.S. housing market. Anemic existing home sales and rising mortgage rates dominate the landscape, and, new home sales have been falling, he added. Builders are keeping prices low with tradeoffs such as smaller lot size, or downgrades in amenities and location while they deal with a severe labor shortage. Investors, meanwhile, are looking to accommodate a growing need for warehouse space. On the East side, vacancy rates fell with increased activity at the Port of Houston and seem to have plateaued. Activity on Houston’s West side is good, with warehouse rents rising along with the growing need for “last-mile” expedited delivery from retail giants.